Allen Hopkins - I have no idea what caused the irregular white area to the right of the image. I thought about discarding this image, but then I thought about the guy in the while shirt on the front row. Wouldn't he want me to put this image in the gallery? 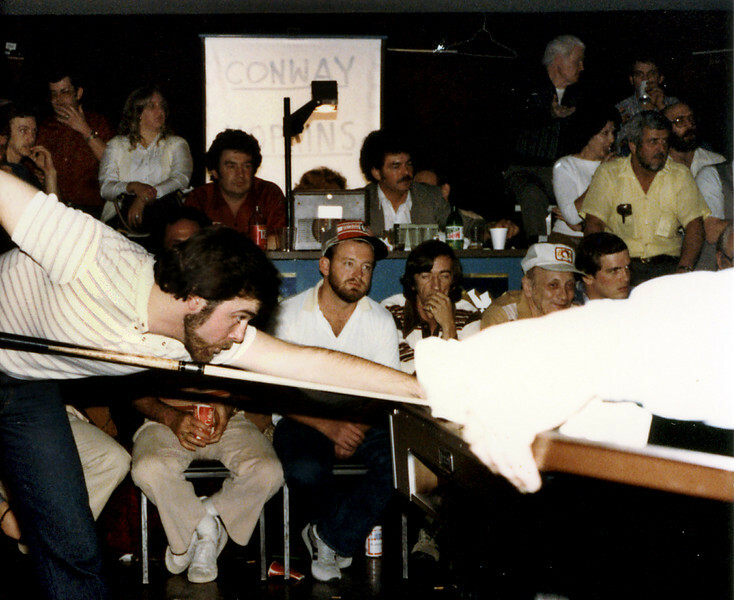 An AZ Billiards poster (JG-in-KY) wrote that he was, "99% sure the guy in between the two guys with hats in the front row is Frank Fisher. He is wearing the striped shirt with his eyes closed in the one photo. Frank was a fine player and even made some cues at one time. Last I heard he resided in Johnson City, Tennessee."